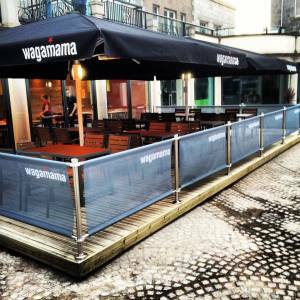 The outside terrace at Wagamama Aberdeen means diners can noodle in the open air. Christmas may be less than a week away but the restaurateurs and bar owners of Aberdeen aren’t slowing down. The Wagama chain of Asian restaurants opened its second Aberdonian branch in the Academy shopping centre yesterday. It joins the existing branch in Union Square. There are now seven Scottish Wagamamas spread between Glasgow, Edinburgh, Livingston and Aberdeen. The Granite City is also home to the latest branch of the award-winning Amarone restaurants. Already a big hit in Glasgow and Edinburgh, the smart casual Italian is on Union Street. Modelled on contemporary Milan restaurants, the Amarone group are part of the Di Maggio’s company. Both the existing Glasgow and Edinburgh restaurants score highly with 5pm users. 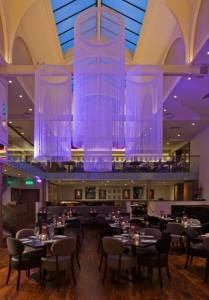 As with the other Amarone restaurants, Amarone Aberdeen is a striking space. Amarone Aberdeen is a good looking restaurant. Thanks to our friends at STV Aberdeen, we hear that a new bar, CASC, has opened on Stirling Street in the city’s Merchant Quarter. 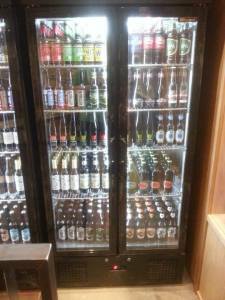 The venture takes its name from the goodies it sells: Cigars, Ales, Scotch and Coffee. Over 170 craft ales, an extensive whisky list and, as of next year, a range of Cuban cigars are the main selling points although the coffee sounds pretty specialised as well. Apparently, they are using Ethiopian Yirgacheffe in their syphon coffee makers and a 100% Arabica Fino for their espresso. Team STV have an informative interview with the owner Paul West. Like beer? Go to CASC.